It’s one thing to make it all the way to the state championship and win it. It’s another to win the championship on home field. Chaminade High School’s boys’ lacrosse team defeated Buffalo-St. Joseph’s in the CHSAA Class AA state championship on Tuesday, May 29, with a dominating score of 19-5. 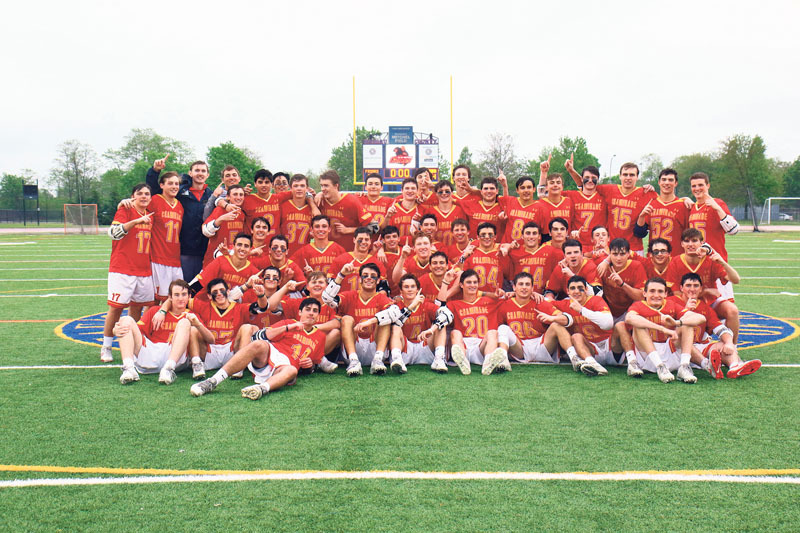 What makes the championship win so special is that the lacrosse team was able to conquer the title in front of their home crowd at Ott Field in Mineola. The Flyers, led by head coach Jack Moran, had to deal with a competitive first half as Buffalo-St. Joseph’s remained in striking distance. At the end of the first half, they headed into the locker rooms with Chaminade up 8-4. The flood gates opened in the second half, however. The Flyers went on an 11-1 run, with their offense flying and their defense stiffening. By the end of the game, seniors Patrick Kavanagh, Will Kusnierek and Jake Sexton all had three goals apiece for the team. Junior Tyler Sandoval was named the game’s MVP. He was effective throughout the game, but specifically in the faceoffs as he was one of the main reasons the team won 22 faceoffs out of 27. It was the first Class AA boy’s lacrosse title in the history of Chaminade High School. It was an even more special victory for Moran, who had won plenty of local championships for the Flyers over his 39-year coaching career, but had never won the Class AA state title until this season. 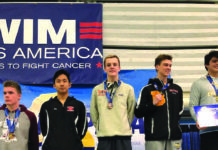 Chaminade opened up the season going on an 8-2 run, with their only losses being to Ward Melville (who eventually won the Class A Long Island Championship) and St. Anthony’s. After the second loss, the Flyers went on a nine-game winning streak all the way up to the state championship game.